The IC722z is no longer an IP camera but also a Z-Wave controller. 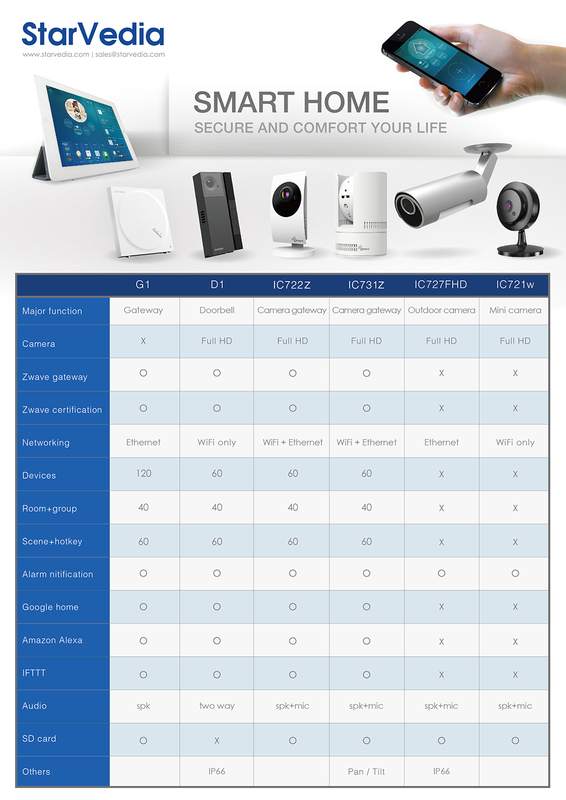 More than an advanced IP camera, the IC722z is a complete Smart Home center that allow you to manage all of your Z-Wave devices to create the smart home that really fit you. Since your whole Smart Home Center is integrate to the camera, the IC722z itself provides everything you need from a smart home system. 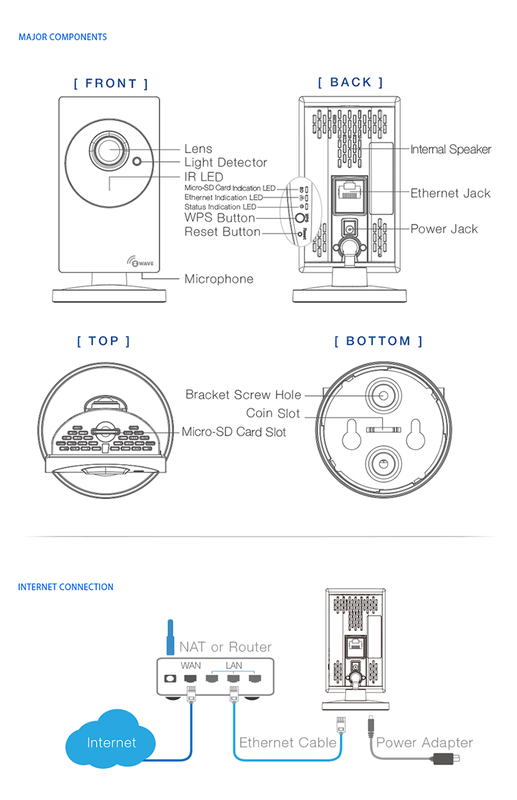 The IC722z is most complete all-in-one smart home solution in the market. Its Full HD resolution and its 140° wide angle, the IC722z will let you have a perfect control and monitoring of your house. Tx RF Power : -26 ~ 2 dBm. M12, 2.8 mm, F1.8, viewing angle:140°, fixed iris.